Cybercrime remains a big business with few consequences, while the mobile device takes on a bigger role in fraud prevention. Boston, June 11, 2015 – Online and mobile banking are critical channels for bank customers, but they also are very attractive to criminals, who steal billions of dollars each year. Banks’ investments in technology have paid off, however. While fraud attempts continue to rise, many banks report that their losses are down. 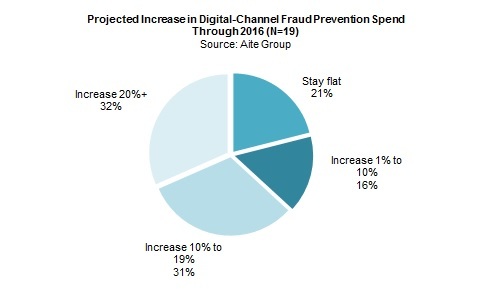 But most don’t expect this happy state to last, and most banks plan to increase their online and mobile fraud mitigation spending over the next two years. Based on spring 2015 Aite Group interviews with 26 fraud executives from 19 North American FIs that have more than US$50 billion in assets, this research details the latest threats to banks and their customers, and delves into the technologies banks are using today and will roll out over the next two years. This 39-page Impact Report contains 16 figures and five tables. Clients of Aite Group’s Wholesale Banking & Payments or Retail Banking & Payments services can download this report.